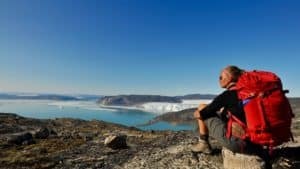 Traveling to Greenland during summer time offer all kinds of experiences and our trips present you with the best ways to explore this beautiful nature. We tailor a variety of kayak trips, cruises among ice bergs, trekking, comfortable round trips from south to north, or staying in huts overlooking calving glaciers. 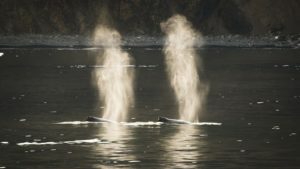 All our trips are made to give you true and authentic experiences and the felling of traveling with a friend, an Arctic Friend! 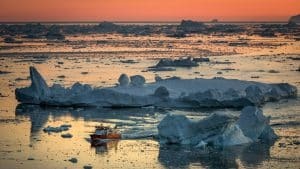 In recent years the Arctic and especially Greenland has opened up to the world, and has become more accessible. 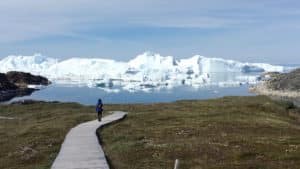 There is an increasing chatter about the consequences of Global Warming, and an increasing number of guests wants to see what it is all about. 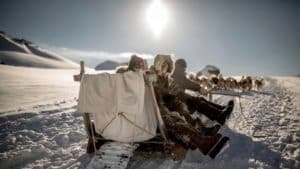 What they discover is a pristine world of ice and wonder, that is still largely untouched by mass tourism. 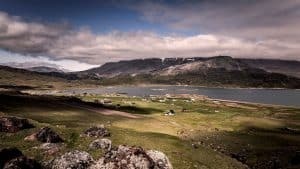 So if you are looking for authentic adventures, Greenland is the place! All our tours are available to anyone, and they all include English speaking guides! 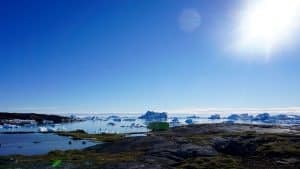 We offer trips to Greenland winter and summer, and on all our trips you will feel our passion for Greenland and together with our expert team in Greenland, we guarantee you the time of your life. On the right you will find some videos in English and some pictures of our destinations. You are always welcome to write or call us, if you have questions! 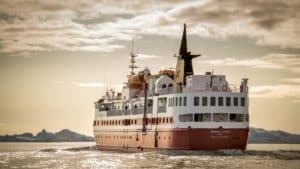 Group event to Greenland – The service provided by Culture Adventure has been excellent in every aspect. The staff made us feel welcome in every way and introduced us to the culinary delights of Greenland. The whole program was time very well spent and the guide was very very good. I would thoroughly recommend Culture Adventure to others! Well done and many thanks again. please call us on our service phone +45 6160 0070. Since 2001 we have arranged trips to the Arctic. We are a passionate team of travel experts who know what we are talking about. 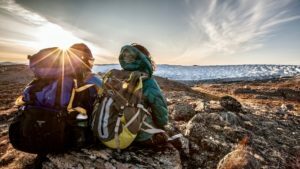 All our trips are made with an arctic love for the sole purpose that you feel like you are on a trip with a friend, hence the name “Arctic Friend”. We offer everything from round trips and cruises to dog sledding tours and glacier courses – from Greenland to Antarctica. No task is too small or big, call +45 76 10 00 70 or look over for a talk about your next trip.